In the interest of full disclosure here, I want to be an astronaut when I grow up. So if anyone from NASA is reading this, hey I love you guys, and I really would be a great astronaut. Now that I have gotten that out of the way. Oh wait. Where is that picture? I have it here somewhere. One more for the NASA guys… It is of me and my little brother in our home made space ship. We had great plans back then. But what does that have to do with NASA and SpaceX? Simple, one word Drive. What do I mean by that? Well that is a bit more complicated. Let’s take for example what it takes to make what just happened the other day happen. 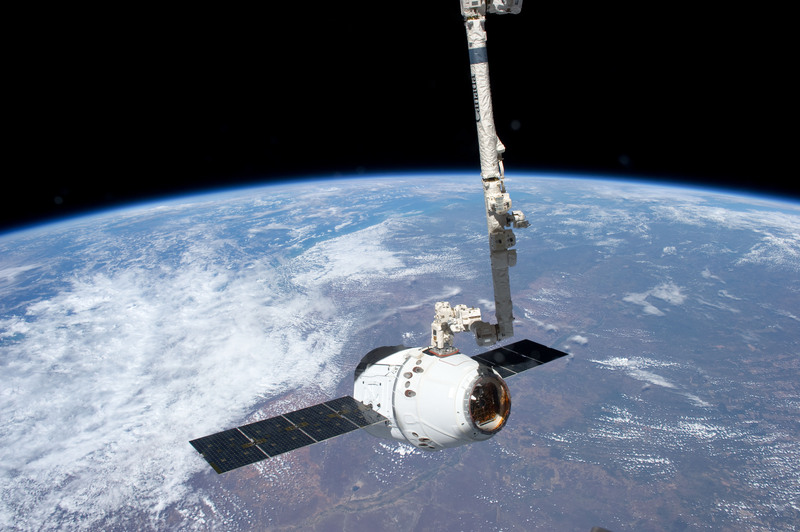 I don’t know about the rest of you but I was up at O’dark-thirty watching Dragon make it’s final approach to the ISS, and I watched until I had to go to work, and then I watch the RSS fed. It was an amazing thing for the first private craft to dock with the ISS, but to me it is that any craft can dock with any other in orbit. The Math and the Physics involved to make that happen are just mind boggling, and I think that if more people understood how really hard it was more people would get excited by it. It takes people that are incredibly driven and passionate about something to be willing to spend the the amount of time that it takes to learn this and then sink more time and money and effort into applying that knowledge to make something like this happen. Just an interesting note. 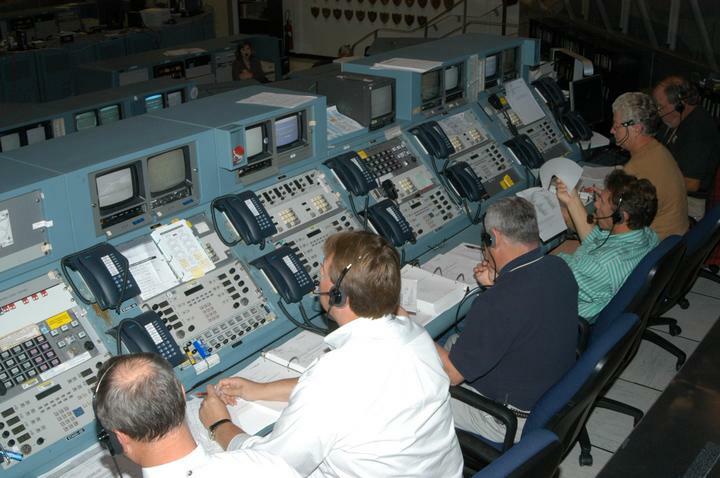 In Gene Krantz’s book Failure is not an Option one of the things that he says is that during the Mercury and Gemini missions the “big board” as actually run by people standing behind it reading off ticker tapes and moving the wooden cutouts of the ship across the board. That is the drive I am talking about. I think that NASA and the United States in general have lost that drive. The willingness to make it happen so to speak. Let me use a couple more images to show you want I mean. The first three are of the Iconic NASA Mission control. 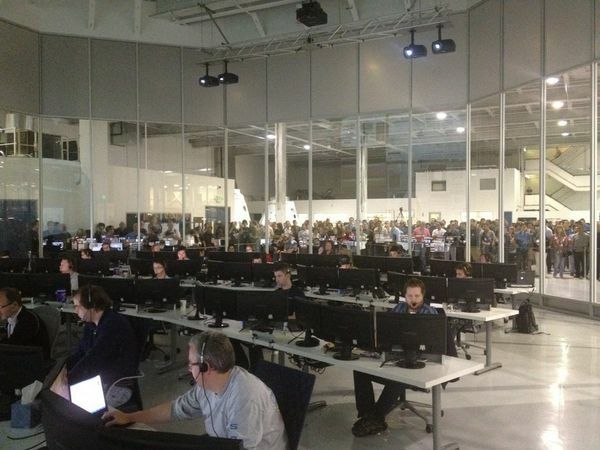 This next shot if of the SpaceX mission control. It might not be immediately obvious what I am talking about here so let me explain. 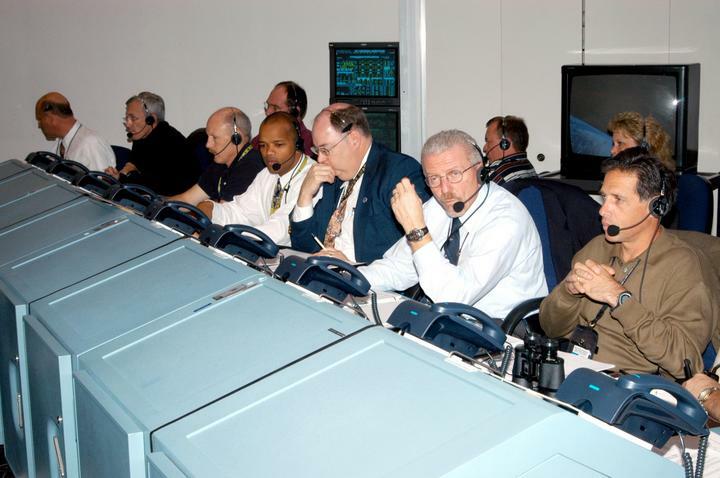 The look of the NASA control room has not changed since the early days. Sure you could argue that you use what works, and they have updated the systems behind those big blue desks. But it is more the people and what they are doing. Look at the SpaceX picture again. Most of those people are younger, and they are using all off the shelf equipment. 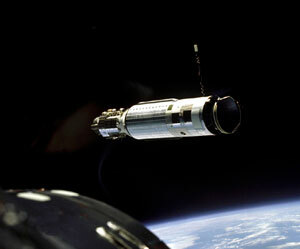 Look at the NASA pictures again. Some of those people look like they have been there since the Mercury missions. Before you get all excited and say there is something to be said for experience. I agree with you. But it is obvious from these images that there is an institution here. NASA is a dinosaur. They have not changed, they have not kept up with the times, and while there is something to be said for experience, there is also something to be said for being young and trying something new, and being willing to take some risks. Will it work? Well there are some advantages to being a cooperation young smart and nimble. First you can hire anyone, from anywhere around the world who has that drive, that passion you are not limited to working with people from your country or going the miles of red tape to hire someone from outside the country. Have you ever tried to get a government job at any level? You can do things quickly. They are probably not bogged down in in processes, and procedures and at this stage in the game they probably make changes rather quickly. There are also pretty big advantages to being part of a government. There are things that a government agency like NASA, will have access to that a smaller company would not, Launch facilities for example, or the agencies that control things like the ability to launch something into space. Maybe in the future if more corporations become space capable those agencies will become more available but at the moment that is a sever disadvantage. 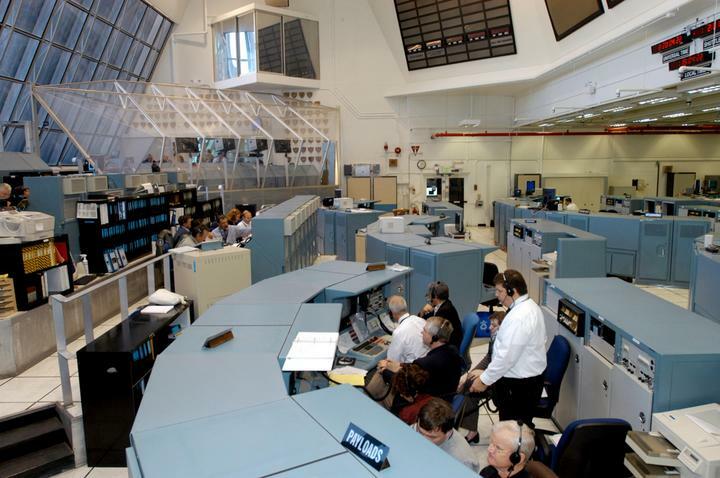 Right now if they want to launch NASA and Government organizations like like it, have the only facilities in town, and those facilities are very tightly controlled. Another advantage is national pride. One of the factors that put us on the Moon in the first place was a national pride to make it happen. If the United states or some other countries National space agency manages to capture that again, they could very well leap out in front again drive the space community to the first colonies on the Moon and Mars. So who comes out on top from this? The answer is everyone. Competition might be the greatest motivator ever. At least part of the reason we made it the moon first is competition, who could plant their flag in the soil on the moon first. In a world where nations are sharing more, if one makes a huge leap in technology, they are going to share it. And A space capable cooperation, might make such a leap in technology and it will give them the edge for a while, but one thing about space flight is that it is expensive. If they make a leap in technology, just being able to be the first ones to do something will only put so much money back in the budget, and selling that technology to the competition will make a lot more financial sense. In the end, the entire human race is better because of this. The number of things that will come from further space exploration that will benefit mankind will far out weigh any negatives that might come from the rivalry that may or may not exist between companies like SpaceX and Virgil Galactic and Agencies like NASA and the Russian Space Agency. This is a win for the human race. I listened to the NPR piece about the rivalry between NASA and SpaceX as well as the cooperation needed to make it all work. I think we all want the same thing – the stars. We’ll get there one way or another. Great post.